Now that the spring season is in full swing, many homeowners are working to tackle their annual spring cleaning regime. Just as the turning of seasons is a great time to ensure that your house is clean and tidy, it is also the perfect time to make sure that your roof is in the best condition. 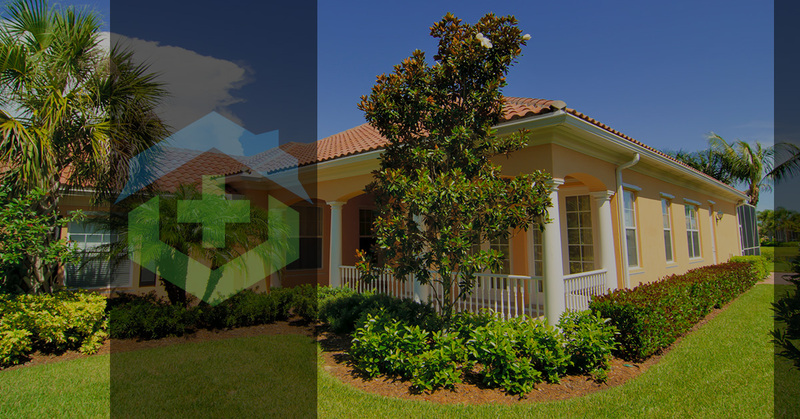 Although Florida has mild winters, the conditions can still have an effect on your roof. And with warmer and more humid days ahead of us, Spring is an excellent time to have your trusted Florida roofing contractor come out and make sure your roof is equipped to handle the elements. To help you ensure that your Florida roofing is ready to stand up to the heat, moisture, heavy storms, and other extreme weather conditions of the spring and summer, we’ve compiled a list of roof spring cleaning and maintenance tips to follow. Your roof should be maintained on a yearly basis, and following these steps could end up saving you money and plenty of hassle of having your roof repaired or replaced during a potentially-rainy spring. Gutters that have seen better days are an indicator that there are problems with your roof. Although it is mild, the winter season can leave gutters clogged with rotting leaves, twigs, and other debris. Clogged gutters can cause major issues, such as foundation damage. It is always better to clean ahead rather than ignoring your roof and gutters than be faced with bigger problems in the future that may require roof repair or replacement. To clean your gutters, start by clearing out all the debris on the surface. Next, make sure the downspout is clear and that the water drains away from your home. When cleaning your gutters, check for signs of sagging, separation, or pulling away from the roof and contact your local roofer if you notice any significant damage. You may not think that branches could harm your roof but it is actually one of it’s biggest threats! When high winds and storms make their way, tree branches and other foliage can fall onto your roof, potentially puncturing the roofing system or causing other serious problems. The best way to avoid these damages from your yard’s trees is to trim back any branches that are overhanging or near your home’s roof. If your home has an attic, you may be able to reveal potential issues with your roofing quicker just by doing a quick inspection. Noticing any water damage, wood rot, or mold since these can be dead giveaways for damage, such as a roof leak. If you find any warning signs, contact local roofing contractors so they can quickly get things fixed! The best way to ensure that your home’s roof is ready for the upcoming weather conditions is to schedule an inspection with a professional roofing company. With a roofing inspection, you increase the chances of catching small problems with the roof before they become larger, more difficult, and exponentially more expensive to contend with. A roof inspector will be looking for leaks, unusual wear and tear, damage caused by windblown debris, organic growth issues, and other problems that may have occurred during roof installation or subsequent repairs. These are just a few of our tips for kicking off the spring season with a clean and healthy roof. Keeping your roofing in shape is vital in keeping repair costs down and increasing it’s longevity, along with keeping everything looking great!Our professionals at Roof Positive can help keep your roofing in shape. If you need a little extra help with your roofing maintenance or repairs this Spring, you can count on our roofers in Panama City, Naples, and Orlando! Shingles to metal, tile and flat roofing. Certified and trained contractors and crews. Updates at every step of the process. Better service and contractors = Best value.